Welcome to Bad Ways To Be Nice. We did some research with young adults who give cigarettes to teens. 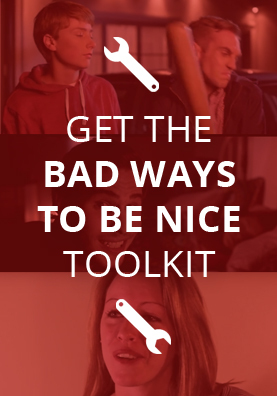 They told us that when they give cigarettes to a younger sibling or friend, they’re just trying to be nice. The problem is, when you think about it, giving cigarettes to teens isn’t nice at all.